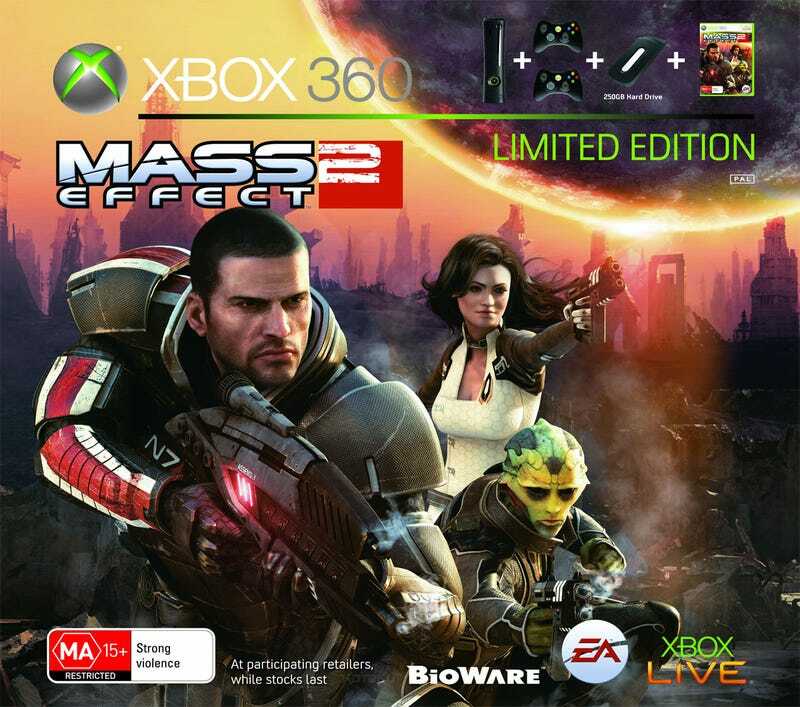 This is the Mass Effect 2 Limited Edition console bundle, announced today for the Australian market and selling for AUD$599 (USD$550). It includes a black Xbox 360 with a 250GB HDD, two wireless controllers, a headset and a copy of Mass Effect 2. No custom paintjob on the console, sadly, but the inclusion of a 250GB HDD is certainly some interesting timing on the part of Microsoft. GameStop Looking To Offload Its Xbox 360 Elites? So far this has only been announced for Australia, but then, Australian PR is always the first out of bed. If the bundle is announced for other markets as the day rolls on, we'll update.